A few weeks ago, I attended the DC Universe: Rebirth Retailer Roadshow in New York. Dan Didio and Jim Lee’s presentation really won me over, and no, I’m not saying that because I’m an employee of Midtown Comics and my job relies on people still wanting to buy comics. Look, if I didn’t enjoy the event, I wouldn’t write about it – it’s that simple. But here I am, writing about DC Rebirth because I’m legitimately excited about it. And you know what? I think you should be excited, too. And no, it’s not a reboot. 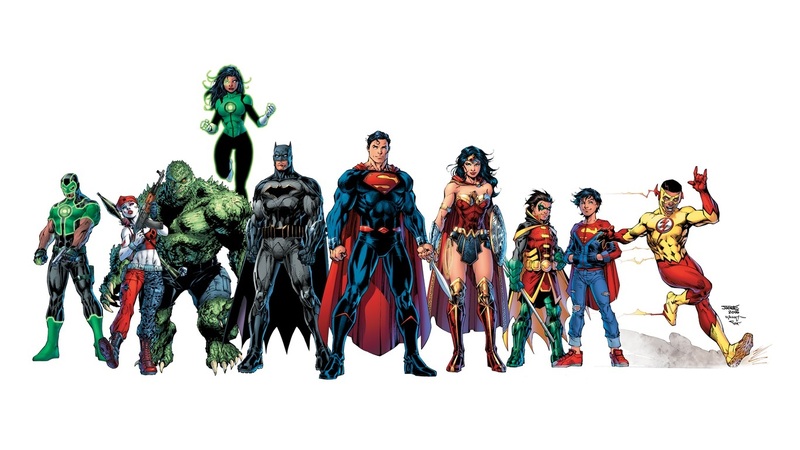 DC Rebirth is almost here! The mega-sized DC Universe: Rebirth Special #1, which is written by Geoff Johns, is going to mark the beginning of the publisher’s enormous event. Well, how would you like to have your copy of the hugely anticipated issue signed by Geoff? Yeah, we’re guessing a lot of you would love that, so we’re having him over to celebrate DC Rebirth and sign some copies of the issue! This is going to be a limited signing, so you’ll have to win tickets. Test your luck below! Batman v Superman: Win Tickets to the U.S. Premiere! Batman vs. Superman: Who will win? On March 25th, everyone will finally have the chance to find out as Batman v Superman: Dawn of Justice opens in theaters! But you – yes, you – could be one of the very lucky fans that gets to see the hugely anticipated movie early! Not only will you get to see it early, but you’ll get to attend the U.S. premiere! Henry Cavill (Superman), Ben Affleck (Batman), Jesse Eisenberg (Lex Luthor), and many others from the cast and crew of BvS will be in New York City on March 20th for the U.S. premiere, and you now have the chance to be there as well! 19 lucky fans will receive a pair of tickets to the exciting U.S. premiere of the Dark Knight taking on the Man of Steel! Who will win? Hopefully you! Well, what are you waiting for, fans? Enter the contest below!